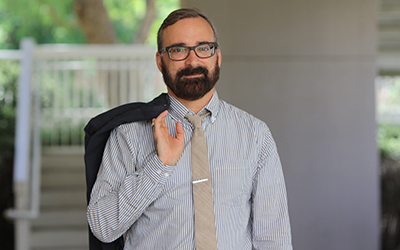 William Maurer, Director of The Institute for Money, Technology & Financial Inclusion (IMTFI) and Dean of the School of Social Sciences, is named 2016 AAAS Fellow for noteworthy advances in the fields of law and economic anthropology, specifically in banking and the meaning of money in different cultures. "Nine University of California, Irvine researchers in areas ranging from anthropology and psychology to computer science and biology have been named fellows of the American Association for the Advancement of Science, the world’s largest general scientific society. 'The AAAS plays an important role with the advancement of scientific research, education and outreach in the U.S.,' said Pramod Khargonekar, UCI vice chancellor for research. “These brilliant scientists – who represent a broad spectrum of academic pursuits – personify UCI’s research innovation and excellence, and we are proud of their achievements." A woman takes Nigerian Naira from an ATM in Lagos. "Pervasive electronic banking fraud is affecting Nigeria’s banking system and costing the Nigerian economy dearly. It is also holding back the adoption of cashless technologies and has become an obstacle to financial inclusion in Africa’s second largest economy. Recent data shows that last year electronic fraud in the banking sector accounts for about 16% of total fraud in the industry. The implications of rampant e-fraud are enormous. People who already have a bank account are reluctant to adopt e-banking. And it’s an obstacle to drawing those who don’t have bank accounts into the formal financial system. In Nigeria only 53% of the population is in the banking system. Our research shows that pervasive e-fraud is also hampering Nigeria’s drive to encourage electronic transactions in a bid to reduce physical cash in the economy. The logic behind it is that less cash in the system will reduce the risk of cash related crimes, foster transparency, curb corruption and leakages and drive financial inclusion. But Nigeria’s high levels of electronic fraud is threatening the creation of a cashless ecosystem." Read their newly published article in the Journal of Financial Crime based on their research on ATM fraud: "On the limits of trust: Characterising automated teller machine fraudsters in southwest Nigeria"
What Are the Effects of Adding Credit and Insurance To a Conditional Cash Transfers Program in Mexico? Recent research suggests that chronic complexity and stress inherent in the lives of the poor can impede and hamper financial decision-making. Due to pressing short-term needs of the here and now, forward-looking behaviors, such as investing in education and health, may not get prioritized by the poor. Even with the knowledge and means, making changes in behavior (such as more time parenting or other healthy activities that could have far-reaching consequences) is challenging due to the lack of adequate resources. Since a major source of anxiety in the life of the poor is related to financial complexity and uncertainty, for our project we assumed that simplifying the financial lives of the poor would create favorable circumstances for them to recognize the longer-term benefits of and willingly invest in their children’s education (through parenting and schooling) and adopt healthy behaviors. In addition, we anticipated that making the financial lives of the poor more straightforward would have a positive effect on their welfare. Our focus group interviews with poor households in Mexico corroborated past research in showing that financial instability and emergencies are a major source of stress and anxiety. Therefore, for our target population we hypothesized that access to credit and insurance would improve the ability to cope with immediate shocks and that, in turn, these gains might promote the psychological well being of the poor and favor investing resources in education and health. We also had two more specific hypotheses: (1) recipients of the conditional cash transfer plus credit and insurance would have better parenting and higher adherence to healthy habits than recipients of only the basic conditional cash transfer; (2) experiencing unexpected income shocks reduces healthy habits and quality of parenting by adversely affecting psychological health, but this is less so for recipients of the conditional cash transfer plus credit and insurance. We tested these hypotheses using as our target population the recipients of PROSPERA (formerly known as Oportunidades), Mexico’s flagship conditional cash transfer anti-poverty program, which covers approximately 25% of the Mexican population. This is a policy-relevant target population for two reasons. First, because conditional cash transfer programs targeting the poor are implemented in at least 33 countries worldwide and serve 90 million people in Latin America alone. Second, because the typical conditional cash transfer program requires its recipients to have regular health checks and provides them with health and nutrition education, both of them free of charge. Therefore, we target a population that has neither knowledge nor financial constraints to the adoption of health behaviors, but rather those whose mental wellbeing may be hurt by the stress and complexity of their lives. The recipients, almost all women, received cash transfers in a bank account every other month. In addition, a subset of participants received additional benefits from a financial inclusion module called “Programa Integral de Inclusión Financiera ‘Prospera más con BANSEFI” (PROIIF), a supplemental program that provides beneficiaries with additional benefits at below-market prices. In particular, the main objective of PROIIF is to improve PROSPERA’s beneficiaries’ formal financial inclusion. Through PROIIF beneficiaries have access to the following products: an additional savings account (Ahorro Más con BANSEFI); two lines of credit at an interest rate substantially below market levels (Crédito Básico Más con BANSEFI and Crédito Más con Ahorro); a life insurance policy at a discounted price (Seguro Más con BANSEFI); and additional benefits (Paquete de Beneficios Adicionales BANSEFI). To test hypothesis (1), we compared healthy habits, parenting, children’s schooling, mental health, cognition, stress and total household income of PROIIF and non-PROIIF households. The difference in outcomes for PROIIF and non-PROIIF recipients identified the average treatment effect of PROIIF under the assumptions that (i) PROIIF affects only its recipients and not other subjects (e.g., it rules out spillover effects of PROIIF) and (ii) there are no systematic differences between PROIIF and non-PROIIF recipients. The first assumption is likely to hold because PROIIF and non-PROIIF recipients were geographically distant from each other. Therefore, spillover effects are unlikely. To check the validity of the second assumption, we compared the predetermined socio-economic characteristics of PROIIF and non-PROIIF recipients and their households. We find that these two groups of recipients and their households are fairly similar. Figure 1. shows that healthy habits, parenting, children’s schooling, mental health, and cognition do not differ between PROIIF and non-PROIIF beneficiaries, thus rejecting our first hypothesis. To test hypothesis (2), we compared the healthy habits, parenting, children’s schooling, mental health, and cognition of households that have and have not suffered from unexpected shocks in the previous 14 days prior to the interview date. Since the experience of unexpected shocks may not be random, as poorer and more vulnerable households are more prone to suffer these shocks, we restricted the sample to households who had experienced at least one unexpected shock in the previous 12 months. Therefore, the variation that we exploited was in the timing, and not the experience, of these shocks. The difference in outcomes for households that were hit by an unexpected shock in the previous 14 days and households that experienced these shocks in the previous 12 months (but earlier than two weeks before the interview date), identified the effect of unexpected shocks under the assumptions that (i) the shocks affect only their recipients and not other subjects and (ii) there are no systematic differences between households that experienced the shocks sooner and later. Spillover effects of these shocks are unlikely, as only 7.16 percent of the sample experienced shocks in the previous 14 days prior to the interview date and these households were geographically spread out, so the data supports the first assumption. Moreover, the socio-economic characteristics of the two groups of households were similar, and consistent with the second hypothesis. Figure 2. shows that transitory and more permanent shocks reduced the income of PROSPERA’s beneficiary households by similar magnitude as the effects on income were not statistically different from each other. Permanent shocks did not consistently or overall significantly reduce adherence to healthy financial habits. Similarly, we see no effects on schooling or parenting, or on parental aspirations and expectations for their children’s schooling. Further analysis shows that the magnitudes of the shocks of more permanent and transitory shocks on the outcomes of interest are not statistically different for PROIIF beneficiaries. There are two exceptions. First, receiving PROIIF attenuates the negative effects of experiencing transitory income shocks on household income. Second, while receiving PROIIF does not attenuate the negative effects of experiencing more permanent income shocks on income, it increases the amount of time desired to spend with children. Overall, findings from our data indicate that recipients of the conditional cash transfer plus credit and insurance do not seem to have better parenting and higher adherence to healthy habits than recipients of only the basic conditional cash transfer. In addition, while it is the case that experiencing unexpected transitory income shocks reduces income, the magnitude of the effect is lower for recipients of the conditional cash transfer plus credit and insurance. Finally, when experiencing more permanent income shocks, the quality of parenting by increases for recipients of the conditional cash transfer plus credit and insurance. A major snag since the introduction of Nigeria’s cashless policy is pervasive electronic banking fraud (e-fraud). Although the policy was aimed at encouraging electronic transactions, reducing physical cash in the economy and thereby reducing the risk of cash related crimes, fostering transparency, curbing corruption/leakages and driving financial inclusion, the perpetration of fraud threatens the cashless ecosystem. The implications of rampant e-fraud are enormous, not only for the banked population adopting e-banking as a secure platform but also for the obstacles it poses to effectively capture the unbanked populace. Initial investigations show that with the prevalence of fraud and subscriber victimization, there is a growing fear of migrating to and using electronic banking, while those defrauded are altogether opting out of e-banking. The Nigeria Deposit Insurance Corporation (NDIC) annual report stated a total of 3,756 fraud cases in 2013 involving N21.79billion, which represented a 21 percent increase from 2012. Curiously, about half of the actual loss occurred within the first three months of 2013. 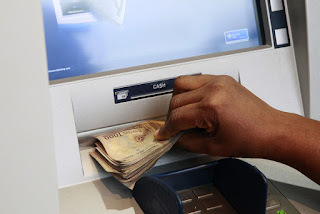 Looking between these aggregate pictures, the NDIC 2013 report also offers an elaborate list of fourteen major fraud channels - automated teller machine (ATM) fraud being the leading source. In a climate of mounting complaints from e-banking customers/subscribers, we investigated the dimensions of e-fraud in Nigeria’s cashless ecosystem. We collected data in Oyo, Ogun and Lagos States and employed qualitative methods of in-depth and key informant interviews with fraud victims, bank officials and fraud investigators at the Economic and Financial Crimes Commission (EFCC). She was shocked seeing her man making the withdrawal. Her countenance changed and she felt sorry for raising her voice in the banking hall. She later left the banking hall to reconcile with her fiancée. This fraud was huge. It involved the moving of about N400million ($2,010,050) naira from the account of the bank. It involved some bank staff in the ICT unit and those in the regular banking hall. They got a woman who sweeps the office of the branch manager and gave her a key-logger to insert in the computer to extract the necessary data they needed and security information. Through this, they were able to access the banks account and moved the money into about forty different accounts. They were strategic about their fraud. They waited for the day there was public holiday and then moved all the money and almost immediately withdrew from the different bank accounts. Before they could be stopped they had used more than three-quarter of the money to buy things online. It was the sweeper that eventually sold them out because as she claimed, she did not know that the things they gave her were to defraud the bank. Un-credited lodgment is another type of fraud perpetrated by bank staff using their knowledge of banking operations and technicalities. We found that the compromised bank staff in the cashier section would collect cash lodgment but would deliberately fail to credit the customer’s account and later divert the money for personal business. This strategy was successful unless the account owner lodged a complaint for not receiving an alert regarding the payment he/she made. It should be noted that not all account holders subscribe to account transaction alerts that give them information about any transaction on their account. People often don’t want any deductions to be made on their account for subscribing to this service. Fraudsters, therefore, prey on this loophole. I had a nasty experience with this electronic banking. I went to make a lodgment of N50,000 ($251.2) into my bank account and I went back home. Two days later I did not receive a deposit alert. I went to the Bank Manager to complain who asked me to come back. A lady cashier from the bank came to my house; apparently she traced the address through the Know Your Customer form I filled. She told me to come to the bank as I was the one who made mistake in the payment. I was angered by this and I told her what nonsense. She later told me she thought I was working with a businessman who benefits from uncredited lodgment which he uses to do a business for about two weeks and then payback before the account of the lodger of the funds will be credited. Two hours she left my house, I got the credit alert. This experience brings to the fore the issue of customer knowledge about banking operations and security features to help stop fraud. Those who do not subscribe to account alerts may have their monies un-credited and used for ‘arranged’ businesses by some compromised bank staff and their outsider accomplices. Bank officials are also often associated with dormant account fraud (DAF). When an account has remained inactive for about 6-months, it is categorized as dormant until the account owner applies for its re-activation. In Nigeria, when a person dies it is difficult for dependents to access the bank accounts of their benefactors owing to many legal/institutional obstacles that can take months or even years to be resolved. Some family members are oblivious to the fact that the deceased even had a bank account. As a result, when the account holder dies, their funds become targets for bank official fraudsters, with insider knowledge, that then reactivate and withdraw money from the account. There was a fund transfer fraud in which the best man we had for that job was involved in but rather than punishing him and sending the report to the regional head, the Branch manager decided to make it an in-house thing. They forced the man to fill a loan form where they were deducting the money he fraudulently made from customers account. They also moved him to another unit within the bank where he did not have direct access to money. The matter was resolved internally within the branch. Banks in a bid to cut cost and increase profitability recruit contract staff and assign them to very sensitive areas of the Bank’s operations and because these categories of employees are poorly remunerated they are susceptible to all sort of vices, including fraud. Due to increasingly neoliberal policies being adopted in banking operations, the majority of bank staff is not full-time but casualised and the NDIC’s 2014 fraud report stated that contract/casual staff perpetrated 64% percent of frauds committed in banks. The strategies used in perpetrating fraud, such as un-credited lodgment, fake job scam, ATM card swapping and compromise, fund transfer fraud, phishing emails/BVN fraud, and dormant account fraud among others, indicate that fraudsters are exploiting the loopholes of the cashless ecosystem. The results of this study point to the need for financial literacy education in Nigeria and improvements in the security infrastructure with a view to building confidence in the formal banking sector as well as e-banking. Furthermore, banking products/services should be designed with security features that take into consideration the peculiar characteristics and vulnerabilities of their customers. All names of banks, institutions and participants are pseudonyms as they were assured of their anonymity when they agreed to participate in the research. Oludayo Tade and Oluwatosin Adeniyi (2016), "On the limits of trust: characterising automated teller machine fraudsters in southwest Nigeria", Journal of Financial Crime, (2016) Vol. 23 Iss: 4. Read more in Oludayo Tade and Oluwatosin Adeniyi's Final Report. By IMTFI Fellows Mahiya I.T and Gukurume S.
In 2009, under the banner of 'dollarization', Zimbabwe adopted a multicurrency system after experiencing protracted socio-economic and political quagmires and a world record hyperinflation exceeding a crescendo of 250 million percent in 2008. Under this multicurrency system, Zimbabwe adopted a basket of foreign currencies as official currencies. These included the United States Dollar, the South African Rand, the Botswana Pula, the British Pound and the Euro (and later on the Chinese Yuan) – all of which operated simultaneously in the economy. The beginnings of this multicurrency system coincided closely with the adoption and growth of mobile money services. This blog highlights findings from the 12-month long ethnographic research project that examined the socio-economic dynamics of balancing and negotiating the uses of multiple currencies in the wake of mobile money adoption. To gain a nuanced comprehension of the complex rituals involved in these currency conversions, data collection was done using qualitative ethnographic techniques such as participant observation and in-depth interviews with mobile money users and non-users, and key informants. Large and diversified sample from two communities – rural Chivi and urban Harare – allowed us to compare and holistically capture the complexities of mobile money politics as well as the temporalities of foreign currency conversions. In Chivi, a semi-arid rural community located in the southern part of Zimbabwe, most young men and women of working age migrate to close-by South Africa as legal and illegal migrant laborer or cross-border traders. Considerable remittance inflows from these migrants (locally called majonijoni) has led to a high circulation and usage of the South African rand in Chivi that predates the official adoption of the multicurrency system. …that young boy is my client’s grandson whom she sends to cash out some money here. I don’t ask for the identification document because I know them by name and even the ID number and above all I trust them. I have a number of such clients who always perform their transactions with me without their IDs. 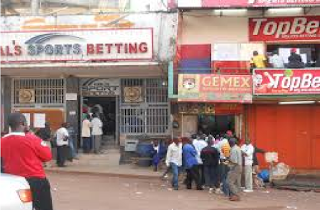 In Harare, however, it was almost impossible to cash-out money or transact without ID and agents tended to be very strict. This may be because cases of fraud, fake money and theft were not uncommon in the big city. However, we noted that even though social solidarity and social capital were more pronounced in Chivi, villagers sometimes complained of being tricked and cheated due to their mobile money and foreign currency illiteracy. My parents send me my school fees in rands through ‘EcoCash Diaspora’ but I have to convert it into dollars because no one is accepting rands these days even if you want to pay a taxi, buy tomatoes, groceries let alone paying school fees. I don’t know it just started recently there is nothing I can do. Of course the US dollar is more valuable compared to the rand but here we are not rigid. In all my businesses I accept both the rand and US dollar. You will go out of business if you reject the rand like they do in Harare. People here get most of their money in rands so say if you receive rands from South Africa and you want dollars to pay fees then I will convert it for you on the exchange rate of that day. I convert rands to dollars here everyday and the good thing is I buy my products in Musina in rands so I don’t make any loss by transacting in rands. I had a nasty experience with one woman in the village, she thought I had cheated her because her husband had send her some US dollars through EcoCash but she wanted to buy grocery in Musina South Africa so I converted her dollars into rands. When she got to the border she was told a different exchange rate but you know these rates differ from place to place. So when she came back she confronted me and demanded more money - we ended up at the police station. From that day I just accept dollars only and I don’t convert unless it’s a person I know and we have agreed. In Harare, the few people who accepted the rand and the Botswana Pula had to take calculative risks. First thing every morning, they gathered information on the current value of the rand from their social networks, which determined whether they would accept the rand on that particular day. We also observed that the prevailing cash shortages in the country almost paralyzed cash-out mobile money transactions as agents struggled to provide clients with cash. Driven by the crippling cash crisis, mobile money operators and foreign currency dealers also traded the dollar against itself. One dollar in cash from black market dealers and mobile money agents could be charged a premium and cost $1.07. Moreover, getting cash from a mobile operator was now being regarded as a favor and ‘appreciative’ clients would give small amounts of money (one or two dollars) to the agent for giving them cash. It became the norm for agents to ‘reserve’ cash for these clients. Some clients would even leave their phones and access pin codes with agents so that once cash was available, the agent could cash out on their behalf. This was in part fueled by banks imposing a maximum withdrawal of $500 per week due to the biting liquidity crunch. Other financial practices such as MMM Global have emerged where participants invest and donat money, particularly through EcoCash, and earned 30% interest, that some have framed as Ponzi schemes. The Zimbabwean monetary ecosystem continues to transform on a daily basis. The government intends to introduce a surrogate local currency called ‘Bond Notes’ allegedly equivalent to the US dollar. This will undoubtedly influence and add new dimensions to mobile money adoption and currency conversions and in effect provide fertile ground for future investigation and research. In our previous blog post, we described why we mapped how people borrow and send money around before and/or outside the formal financial sector. Our goal was to understand the value that intermediaries bring to financial transactions in Kerala (India) and Shan state (Myanmar). This led us to unearth a vibrant eco-system of intermediaries, who offer a variety of services and are often in competition with each other – a very different picture from the stereotypical idea that a lack of formal financial services is the same as a lack of financial services. The arrival of mobile money and mobile banking takes place in the context of an already crowded market of competitors. Clients have more choice – and digital financial service providers have to demonstrate their value relative to these existing ways of moving money. The relatively newly established bank accounts for lower income sections of the population in Kerala are largely restricted to the depositing/transfer of money from the state under public schemes or subsidies. In Shan, state bank accounts are specifically targeted at people with some savings or traders. In both places, therefore, the introduction of mobile money services merely adds to the range of formal financial channels. People are aware of and are even beginning to use these channels, some to greater and others to lesser extents. In Shan state, traders with a significant volume of business are opening multiple bank accounts to take advantage of free intra-bank money transfer, and thus be able to send money to clients for free regardless of where their clients have their bank account. Despite the digital banking applications, however, much of the work of signing up clients, helping them with deposits, transfers, and other operations still happened face-to-face. Banks would send their young marketing people around town to explain their services to potential clients, to tell them who else was already signed up and who was in the bank, thus allowing the client to establish a sort of trust by proxy: did they know the director of the branch? Any of the employees? Was any person they trusted already a client? This trust “check-list” was followed by regular, in-person visits to the bank even when the client did use mobile banking. The increase of formal financial services has therefore resulted in an increase of formal financial intermediaries (regulators, banks, local telco operators in almost all cases) and the persistence of ‘old’ intermediaries, who still create value for their clients by moving around and lending cash. The intermediaries we identified were able to offer or move money at short notice, which was important in the largely agrarian communities we focused on. Economic transactions such as the sale of crops or fish are not always “cash-in-hand.” Very often, the markets for these commodities are far away (even international) and payments for goods sold are routinely delayed. Small-scale farmers seldom have the wherewithal to wait for payment. Therefore, they may decide to sell their goods to locally known traders for less than they could get if they sold directly to the final buyer, just so they receive immediate, cash payments. These decisions on when to sell, or who to sell to, are often made in the context of the farmer’s life at a given moment and their life phase – are there children to send to school? Is the farmer older and care more about receiving some cash now, than more cash at a later time? If a fisherman returns after a few days at sea and wants to buy himself a drink, he might care more about selling the fish quickly through his usual intermediary at a known market in order to get the cash he needs for that drink, rather than waiting to find the best price and market. (In the absence of a guarantee that digital money will be accepted, the need for physical cash is great. Cash is universally accepted, including at small- time liquor stores, a point that came up repeatedly in conversations with interlocutors at Kerala beach). 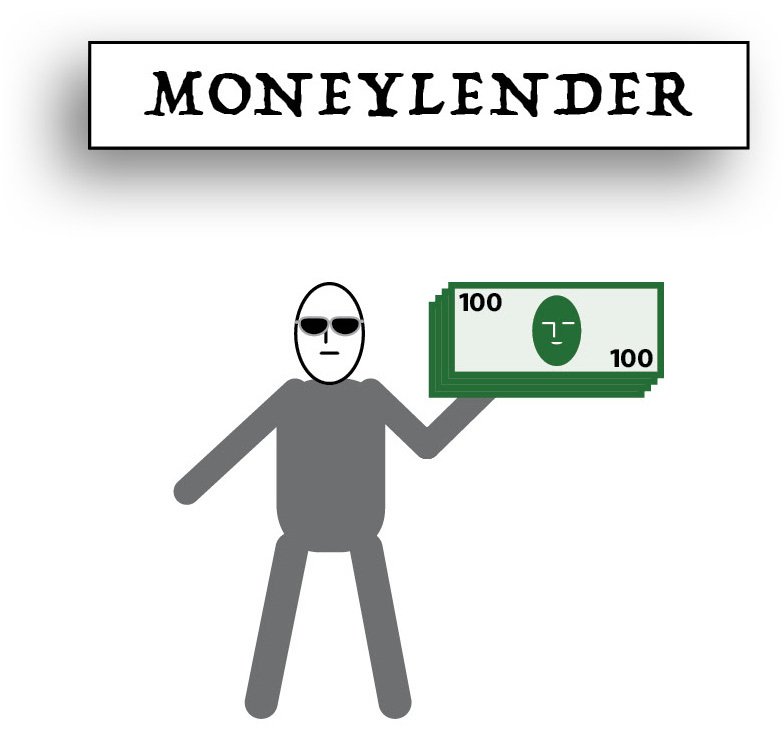 What intermediaries offer their clients is thus an opportunity to negotiate how quickly they can access useable money. Negotiating space is a second area where intermediaries add value. 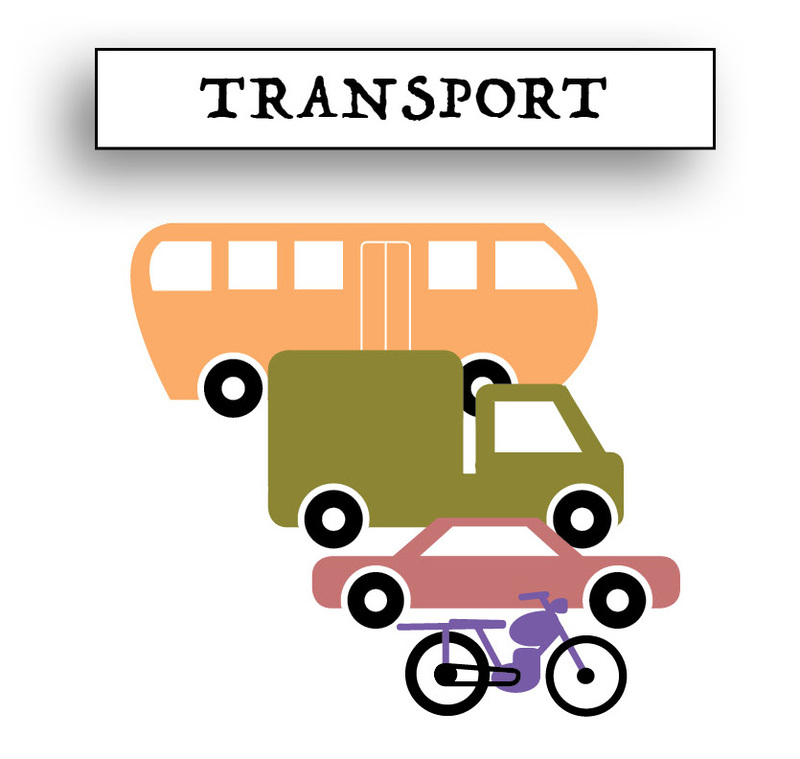 Intermediaries traverse geographical distances, going between villages and markets frequently – e.g. buying a crop from farmers or fish from fishermen, then selling at a market or to a factory, etc. For farmers, spending time going to markets (even with decent roads) represents a greater loss in income than the lower price they receive after a trader takes his/her cut. Most of the informal intermediaries we met were themselves members of the communities where they transacted and had long years of experience in their work. This led to their status as local experts, who knew financial transactions and networks in their domain. In Kerala, fishers viewed their auctioneers as having experience with and deep knowledge of the local fish economy and the process of auctioning. They could be relied on to gauge the prices of different varieties of fish, their seasonal availability and demand across geographies. 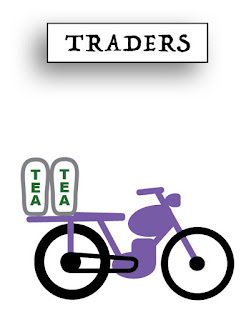 Similarly, in Shan state, traders are seen as experts in, for example, the national tea markets – as those in the know about which tea to send where. As local and export markets are increasingly intertwined, traders play an essential role in promoting, marketing, and establishing new markets for local produce. Those involved in financial transactions are often concerned about the visibility of these transactions for a variety of economic, social, and legal reasons. 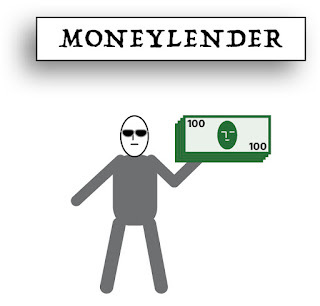 Different formal and informal intermediaries are able to monitor the circulation of money to different extents. Importantly, the implications of their monitoring are also different. Money moved through formal and trackable channels, be they bank accounts or mobile money wallets, can potentially be monitored by the state and tied back to those involved in the transaction. In fact, in the Indian case, the Reserve Bank of India itself envisions digital money as a way to get a better and more reliable sense of the volume (and location) of financial transactions taking place in the country. However, medium to large-scale actors in a market often do not find being tracked by a telco or the state an attractive proposition. On the other hand, smaller-time, informal intermediaries might not have the wherewithal (nor often the motivation) to track and document the transactions of those they transact with in as comprehensive a way (though they do ‘keep track’ of their borrowers). Moreover, sellers might be in a position to negotiate with intermediaries with whom they have a long-term relationship over how much they are being tracked, or what aspects of the seller’s transactions intermediaries are keeping track of. Thus, informal intermediaries (and cash transactions) keep actors much less legible to the state, which these actors might often find valuable. This is a tricky category that is as much about societal perceptions of fit. For example, in Shan state, Burmese-Chinese dominate the tea trade and many other agricultural commodities (especially those exported to China) because of language but also family networks. It then becomes difficult for non-Chinese tea farmers or traders without such extensive networks or skills to enter this market. But there are more subtle differences, such as gender (as other IMTFI researchers have pointed out) or educational level, that make people feel out of place in certain spaces. An intermediary, then, is the person who is able to bridge these divides, or who opens up access to some of these networks, because of their social location. Studying intermediaries in the specific environment where they operate shows a rich variety in the roles they play and the value they create for their clients. Together, these can explain why clients might choose to go through human intermediaries rather than use their mobile phones directly to conduct many of their financial transactions. For Part One of this blog post series, see here. To read more about their IMTFI funded research see their project page here. Link to their one-day workshop this Friday, November 11th at IIIT-Bangalore featuring industry experts from Eko, Microsoft Research India, McKinsey Digital Labs, the Gates Foundation, India and the National Payments Corporation of India. Stay tuned for Oreglia and Srinivasan's final report! We set out to explore this question, starting from the viewpoint that if financial intermediaries persist, they must add some kind of value to the transactions they are involved with. What is this value, then? To uncover the value that human intermediaries bring to such encounters, we studied the roles they perform in financial transactions. We then analyzed which of these roles were amenable to being taken over by mobile money and phones, which ones were viewed as strictly linked to humans and why. To answer these questions, we conducted multi-country field research on financial transactions in Kerala, southwest India (Srinivasan) and in Shan state, northeast Myanmar (Oreglia). In Kerala, our focus was on fishers and in Shan state, on agricultural communities. In order to understand “who” moves money in these contexts, we took a step back and started from “how” money moves. Separating the “how” from the “who” turned out to be the first step in recognizing that intermediaries do not merely perform a function that can be accomplished instead with the use of technology. Rather, they create value for their customers in complex ways that a functional description such as “moving money from place x to place y” does not fully capture. 1. Hundi, a system to transfer money (like hawala) that is based on informal networks of agents in different areas of a country - or even across borders - who transfer and lend money very quickly. In the Burmese context, these are often also traders, so they can move money around while also moving merchandise. 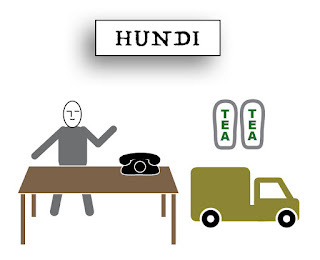 While hundi is in fact a financial tool, in Myanmar people also referred to the agents themselves as hundi. 2. 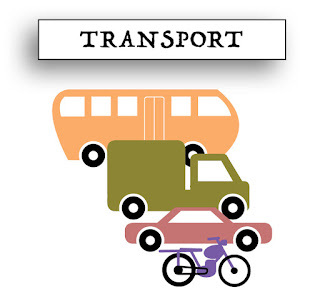 Transport companies are used to transfer money for remittances or for commerce all over Myanmar. People give money directly to drivers, or to the bus company, which might then keep the money – acting rather like a clearinghouse with correspondents all over the country. 3. 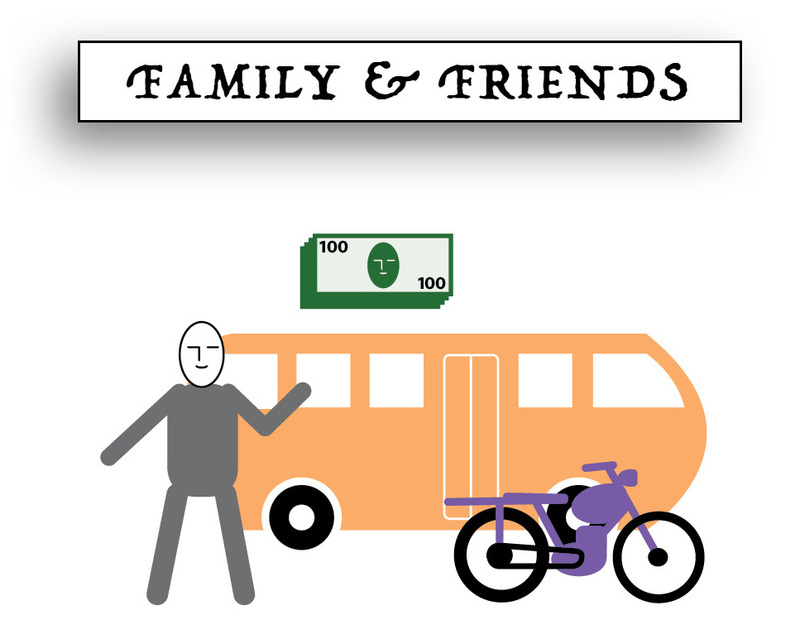 Family and friends were used to move money around, and to borrow from, at both our sites. These transactions were governed by complex rules on whether / when to charge interest and how much. 4. Traders, who are typically very mobile and have somewhat more liquidity than their average client, can transport (and loan) money easily. Such traders were present at both our sites. At the Kerala site, for example, many fishers would be loaned the money to purchase their fishing craft and equipment by medium and larger traders of fish in return for the right to auction the fishers’ catch and a percentage of their fish sales on every trip. 5. Specialized money lenders (called ‘blades’ in Kerala) lend money at very high interest rates for short periods of time to clients (in this case, small-scale female fish vendors) who need an unpredictable amount of cash every day to purchase their produce (here, fish) because of wide fluctuations in the volume, quality and variety of the daily supply. These ‘informal’ intermediaries take on great significance in light of how formal channels of finance function in the sites we studied. In Myanmar, they played a crucial role during the years of the military dictatorship (1962-2011), when the formal financial sector was limited to urban areas and to a very small segment of the population, and when the majority of people did not have other alternatives to move money around. In India, and especially Kerala, formal financial services, including international money transfer services, have been relatively more accessible for a large proportion of the population. Even here, however, fishing communities have been outliers. 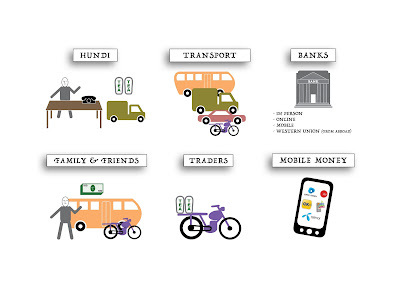 By mapping out the existing solutions to move and borrow money outside formal financial services, we see that there are many services available even in places without banks and mobile money. In some cases, these intermediaries are in competition with each other, which keeps service charges down. For example, in Shan state there were so many different options to send money around the country that it was often a free service – as opposed to mobile money, which always charged a service fee. However, it is not only cost considerations that explain the persistence and reliance on these intermediaries, as we will discuss in our next blog post. Read Part Two of this blogpost series. *Building on this IMTFI-funded research, Srinivasan and Oreglia are hosting a one-day workshop this Friday, November 11th at IIIT-Bangalore. CLICK HERE to register and view the program, and join the research discussion with expert panelists from Eko, Microsoft Research India, McKinsey Digital Labs, the Gates Foundation, India and the National Payments Corporation of India. 1 While cooperatives and banks also offered loans to fishers in Kerala, the number of loans they could offer was far exceeded by the demand for loans in sites such as the one I studied. About halfway through my fieldwork in Cape Town, South Africa, tragedy befell Goodwill Nxusani for the second time. He had been one of my key sources and interlocutors, connecting me to local residents of his township, Khayelitsha. Earlier that year, his grandmother had passed away and he was generous enough to invite me to her funeral. Just a few months later, he received word that his father-in-law, who lived in the Eastern Cape, had also passed. As the only income-earning household in the immediate family, Goodwill’s family was responsible to pay for the whole funeral. Funerals are sacred among the Xhosa. Whether poor or rich, families do whatever they can to ensure that their beloved kin are sent off properly in death so that their souls can join with the ancestors. Goodwill’s father-in-law, the male head of household, was to be honored, as customs dictated, with a slaughtered cow. Since he died near Cape Town, transportation would also have to be arranged so that his body could be returned to the Eastern Cape, a common story for many Xhosa who had migrated to the Western Cape in search of work. Between the transportation costs, the livestock, food, and the funeral ceremony itself, Goodwill faced a price tag of R42,040 ($3,123). If Goodwill had spent every rand he earned, which was R2,000 ($148) per month, it would still take him nearly 2 years to fully pay for the funeral. Fortunately, Goodwill was among the lucky few who had taken out a funeral insurance policy that covered R14,000 ($1,040) of the cost. Still, the death of his father-in-law posed a considerable financial burden on his family. As he broke the bad news, he informed me how he and his wife had gone three days without food in order to pay the first installment on the cow. Economists and insurance professionals see Goodwill’s story, which is fairly common in communities across South Africa, as a story about financial risk. In their view, the financial toll imposed on a grieving family can be alleviated by finding ways to extend financial services into low-income spaces…no easy feat. Insurance, widely considered a grudge purchase, is a hard sell to even middle-upper class people. How do you convince the poor to spend what little they have on insurance? South Africa is unique in this regard because demand for micro-insurance (insurance products designed for low-income clients) is high, driven by the cultural imperatives placed on funeral rituals. Of the nearly 62 million lives insured by micro-insurance on the African continent, South Africa alone accounts for more than half of these lives, making it one of the world’s largest micro-insurance markets. While microfinance enthusiasts might see these numbers with unbridled optimism, there is an important caveat to consider. Micro-insurance sales in South Africa are almost exclusively driven by funeral insurance policies. Other products including life, health, and asset insurance have found no success in the low-income market. Many are hopeful that exposure to high-quality funeral insurance products can serve as a sort of Trojan horse into this market, but this is yet to be seen. As might be expected, building profitable micro-insurance markets presents a number of challenges, especially the need to achieve scale, since the sustainability of insurance operations relies heavily upon building a sizable risk-pool. Fortunately, the advancement and proliferation of technology across the developing world, particularly mobile phones and its networks, have been a game-changer for many industries including micro-insurance. Since mobile penetration is deep in South Africa (mobile phone subscriptions per capita stand at 1.47, according to the World Bank), insurance companies have partnered with mobile network operators (MNOs) to tap into this expansive distribution network. Insurance products that are sold through and with mobile operators are commonly referred to as mobile insurance, or m-insurance for short. 2. Airtime Deduction Models- Clients can make their premium payments with their airtime balance. 3. “Dumb Pipe” Models- The mobile phone is used only for data capture, enrollment, and communications functions, but not for premium collection/payout. It would seem, then, that South Africa, with its high demand for micro-insurance, a corporate commitment to m-insurance, and high levels of mobile penetration, would be fertile ground for the wide-scale uptake of mobile-based micro-insurance. But it came as a surprise to many in the industry when the anticipated m-insurance market failed to achieve scale. What happened? And what does this mean for other financial service providers who are looking to break into the low-income market through mobile channels? The research I conducted in Khayelitsha, a large township outside Cape Town, indicated that a major reason why this market failed to materialize had to do with trust. Even longtime micro-insurance clients who were well familiar with how insurance worked, would not trust using their mobile phones to conduct financial transactions. What drove this mistrust? To answer this question, it’s important to understand clients’ experience with m-insurance within a much wider context of mistrust in which they live and operate. For township residents, in particular, this environment is typically characterized by high crime rates, lack of formal legal recourse, a lack of consumer advocacy and education, countless experiences with money/phone scams, and high unemployment. Anthropologist Erik Bähre observed how, in the midst of such a volatile environment, township residents would seek out and form “islands of trust” where they felt safe enough to keep/grow their money (i.e. informal financial mutuals). Filtered through this perspective, it’s useful to see m-insurance products as operating outside the boundaries of these islands of trust. M-insurance was instead interpreted through a lens developed and used over time to guard against fraud. For example, many respondents dismissed m-insurance because of their past experiences dealing with phone and money scams. When they come across so-called “free” insurance coverage (i.e. loyalty-based m-insurance), they are understandably skeptical. Among m-insurance developers, there is an on-going debate as to the virtues and drawbacks between “high-touch” products, which incorporate sales agents into their models and “low-touch” products, which are typically passive models that eliminate sales agents in order to lower cost. Results from this project seem to suggest that at least initially, a more high-touch approach is required to first develop trust, especially in environments where the use of mobile phones to cross-sell financial products have become synonymous with fraudulent activities. A related example may reinforce this point. When ATMs were first introduced into South African townships, initial reports suggested that there was widespread mistrust among residents. It took concerted time and effort—i.e. bank tellers would walk through each step with individual customers again and again—for clients to eventually trust ATMs enough to deposit their hard earned cash. Examples like this demonstrate that trust in m-insurance products can eventually be earned, but that an initial investment in time and financial resources may be required to do so. As this research shows, efficiency, convenience, and price are necessary but not sufficient factors in building a successful m-insurance market. If the trust gap can be overcome, insurance companies may be in a good position to fully leverage the potential of mobile phones and networks to deliver financial services at a meaningful scale.